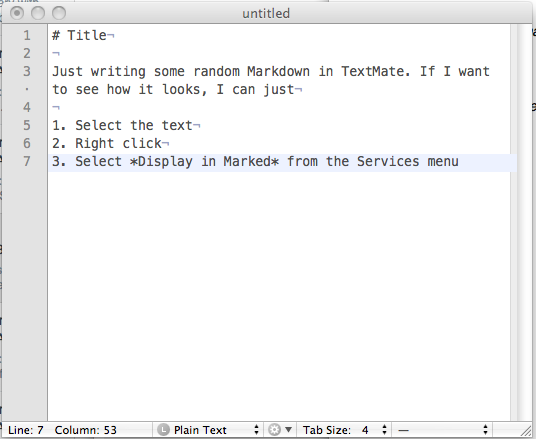 Here is a better version of the Display in Marked.app service which does not need any customization. 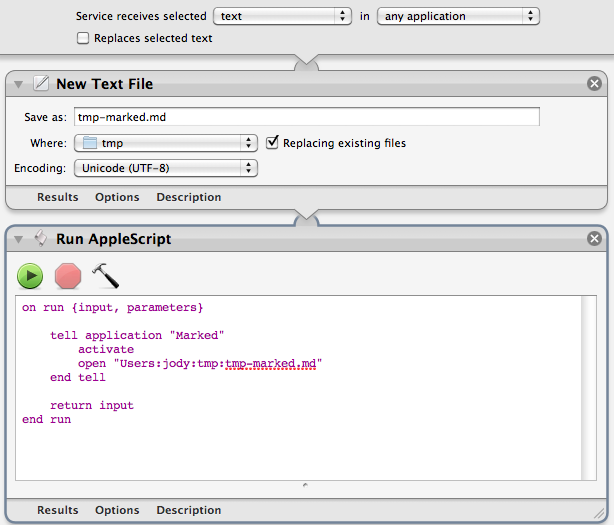 This version which uses a shell script in Automator rather than an Automator action + AppleScript was originally written by Brett Terpstra, creator of Marked.app. A side effect of posting the previous post was that I wrote a OS X Service that takes the selected text, saves it as a temporary file and opens that temporary file in Marked. 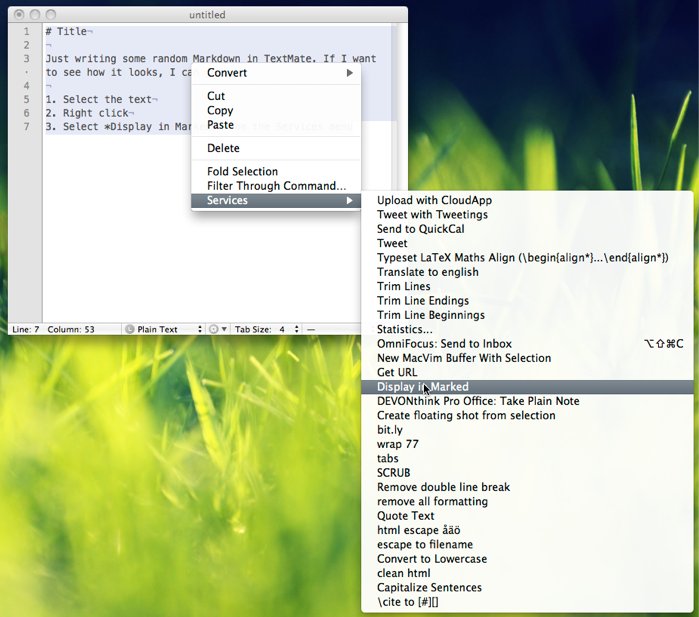 Update 2011-09-05: There is a new version available which you do not have to customize here.